Welcome to the HM2040 VCF Chip Group Buy Thread! Please PM me with or post the amount of chips you're interested in along with any questions here in the thread. “I have used them before in my Model 2040 it sounded exactly 100% like the SSM2040 as i made the pcb so you can swap between a HM2040 and SSM2040. I'm interested in organizing a group buy for some HM2040 filter chips. This is necessary as Hearn Morley do not sell individual chips and I haven't found any HM2040's in stock anywhere else. I've been interested in this for a while specifically for the chips accuracy and it's improvements over the original. I have enough spare time now within the next few months to organize a group buy. 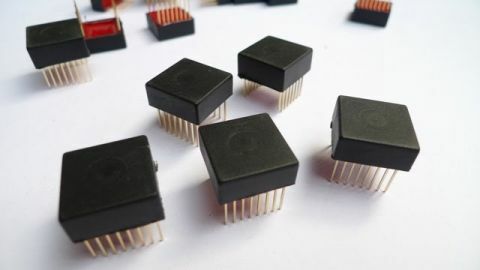 These chips will work in any circuit that uses the SSM2040 filter chip. Phase One: Interest Check. If there's not enough interest here within a month or two, this thread will be closed. The price for 50 chips is £18.95 per chip (about $25 USD) and the price for 100 is £16.40 per chip (about $22 USD). I want anywhere from 3 to 8 for myself. 50 chips is the minimum we can order from HearnMorley. I have a list of names for the first order of 50. Once that list is full and we get enough people to buy 50 chips we'll move on to Phase Two. Phase Two will be the entire process of placing the order. How many chips we'll buy will be figured out here. //This phase has been extended past it's original end date. There's interest in a group buy as far as I can tell but whether or not there's enough people vs. enough people that know about this group buy and want to participate is yet to be determined.// Before then, the window for more people to purchase exactly 100 will be open if there's enough interest. If more than 100 chips are ordered, well, I don't think this will happen but I hope it does because then the price per chip will be more affordable. I'll have everything sorted out before we get there. I'll be paying to ship the IC's to the US, here in California. Phase Three starts when the chips arrive to me. I'll sort out how to cheaply pay for shipping based on individual destinations in phase two and shipping will be then paid for separately. So, I will sort out shipping for each order with each of you. In this phase, I imagine I'll be shipping out a bunch of tubes in envelopes to people across the US/CAN and to the UK/EU. In for 5, maybe 10 if the pricing is ok. Updated with prices and poll. Tell your buddies. So much for credibility! One of the reasons I started this was because you listed me in the good trader reference. And yeah nothing's changed in the past two weeks, I'm still legit. Since there is interest for these but we need more people. is anyone using this in a pcb design I can order too? id be in for 1 if thats the case. Rob Keeble @emuarc of AMSynths has a PCB design for this chip that he sells. It's not in stock right now and since he updated his site it's not visible but hopefully he'll make some more. This group buy is intended to spawn module and PCB designs after getting a good portion of chips to the DIY community. I'd really like to see different applications of this chip. I'm designing a synth voice with this chip as the filter. It'll probably take me till January to build though. From there I'll be designing a massive poly! If there's enough people interested, I could make some PCBs of just the filter. Batch of 10-20 ish. But that's really far away as I have many projects I'm working on. 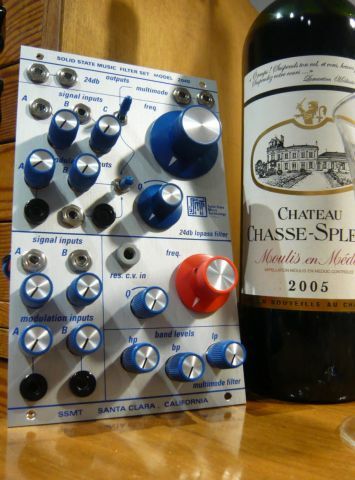 I'm itching to get just one of these HM2040's onto a breadboard. I would like 2 "chips" ! You're in too, Thank You! I'll get caught up in the frenzy. I'm already in for one but I'll double my order and commit to two! I'll take 2 for sure and more if need be to get it over the top. I've wanted these for the better part of 2 years! BUMP, extended amount of time I'm willing to put in for this as there's a decent amount of people interested but not enough to meet the minimum amount to order which is 50. Weekly bump, this is still happening.